Raj Taringini”- ‘the river of kings,’ from 1148 AD (11, 12). Hereafter, the Sikhs reigned from 1819 to 1846 followed by the Dogra rule which ended with the Partition of India in 1947. Being born and brought up in Kashmir, paradise on earth, nestled in the highest and most glorious mountain range on earth, the Himalayas is indeed a reward of destiny. 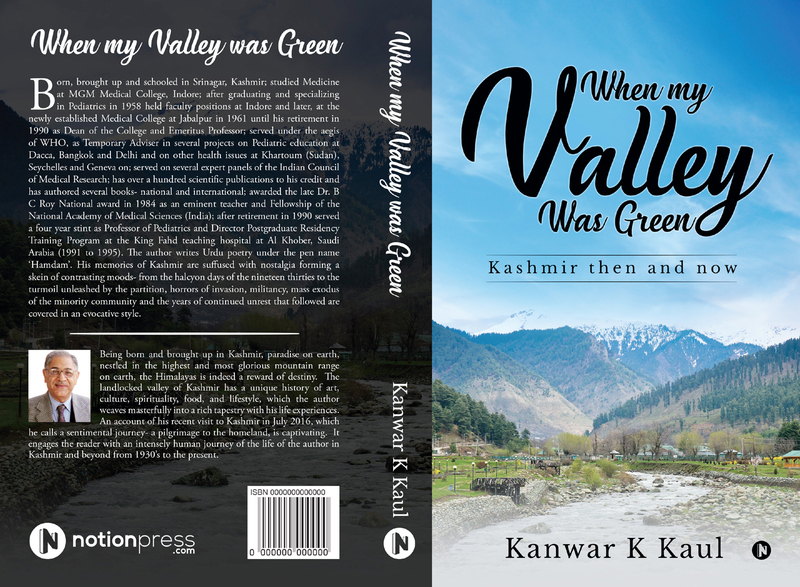 The landlocked valley of Kashmir has a unique history of art, culture, spirituality, food, and lifestyle, which the author weaves masterfully into a rich tapestry with his life experiences. An account of his recent visit to Kashmir in July 2016, which he calls a sentimental journey- a pilgrimage to the homeland, is captivating. It engages the reader with an intensely human journey of the life of the author in Kashmir and beyond from 1930’s to the present. 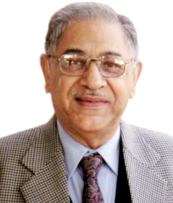 Born, brought up and schooled in Srinagar, Kashmir; studied Medicine at MGM Medical College, Indore; after graduating and specializing in Pediatrics in 1958 held faculty positions at Indore and later, at the newly established Medical College at Jabalpur in 1961 until his retirement in 1990 as Dean of the College and Emeritus Professor; served under the aegis of WHO, as Temporary Adviser in several projects on Pediatric education at Dacca, Bangkok and Delhi and on other health issues at Khartoum (Sudan), Seychelles and Geneva; served on several expert panels of the Indian Council of Medical Research; has over a hundred scientific publications to his credit and has authored several books- national and international; awarded the late Dr. B C Roy National award in 1984 as an eminent teacher and Fellowship of the National Academy of Medical Sciences (India); after retirement in 1990 served a four year stint as Professor of Pediatrics and Director Postgraduate Residency Training Program at the King Fahd teaching hospital at Al Khober, Saudi Arabia (1991 to 1995). The author writes Urdu poetry under the pen name ‘Hamdam’. His memories of Kashmir, suffused with nostalgia forming a skein of contrasting moods- from the halcyon days of the nineteen thirties to the turmoil unleashed by the partition, horrors of invasion, militancy, mass exodus of the minority community and the years of continued unrest that followed are covered in an evocative style.